Dos Rocas, with and its distinctive South American flavor, recently opened on Main Street in the SoMA district. The restaurant draws from centuries of Paraguayan taste and tradition, brought in by principal chef and co-owner Cesar Bordón. Food at Dos Rocas is prepared as Bordón was taught, which means empanadas and yuca are panfried, not baked. Firewood is expensive in rural Paraguay, and many don’t yet possess a kitchen stove or oven. The method results in foods that are rich and satisfying. Dos Rocas also pulls from a variety of tropical offerings like avocados, plantains and limes, and staples like yuca root, cactus, red beans and maize. And yes, the tortillas are handmade fresh every morning. Jack Sundell is a restaurant legend, having opened The Root Café nearly seven years ago. Sundell, along with his partner and wife, Corri Bristow-Sundell, constructed The Root’s menu around locally available produce, and while doing so he made connections. Some of those connections include talent like Bordón. “He started at The Root and did an excellent job as the lunch kitchen man,” Sundell says. He recounts how he and Bordón would grab a beer a few doors down at Midtown Billiards on Main Street after work, eventually devising a plan to open a place where they were comfortable and the libations were varied and home-produced. “We talked about how fun it would be to have a place where we wanted to hang out,” he remembers. Perhaps a pool table and dishes featuring a South American flare, Sundell and Bordón agreed as they floated the dream. Bordón and his wife, Adelia, jumped at the chance and were happy to rely on his expertise. “Jack has an awesome reputation. We were blown away by his offer,” Adelia says about the joint partnership. The couple saw this is an opportunity for Bordón to fulfill his dreams, and although Bordón works the open kitchen at the rear of Dos Rocas most days, Adelia held on to her day job at Heifer International as a Resource Development Associate. Even though Sundell had his Arkansas produce connections through The Root and he’d already gone through the process of opening a restaurant, he says rather matter of factly, “There have been a few bumps, but we just work through them.” Already there were places serving up Latin flavor, like Rosalinda’s Restaurant in Levy and Local Lime in West Little Rock, but none close on Main Street. Plus, it was the perfect time because SoMA was booming and there were few remaining vacant storefronts. And while they’ve only been open about four months, Dos Rocas has a growing fan base, like John Hofheimer, a longtime downtowner, who says he recommends the yuca fries and the guacamole dip, made with fresh cilantro and lime. 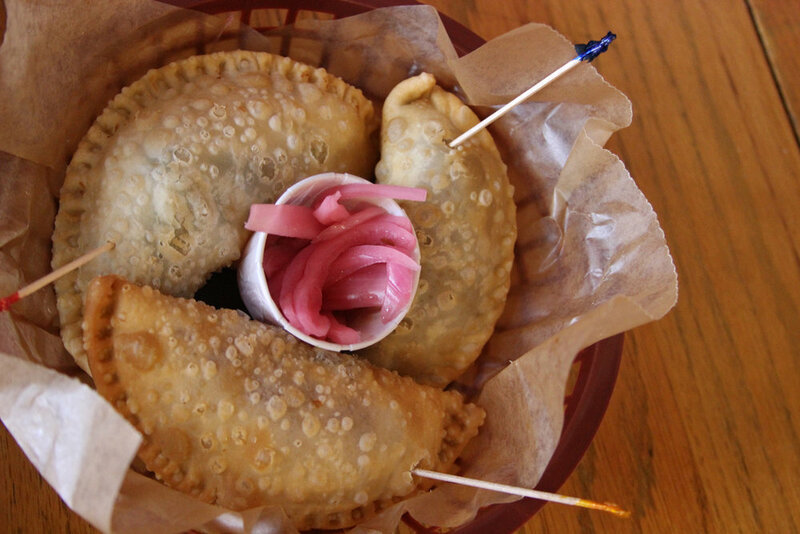 Dos Rocas offers many distinctive South American flavors, including traditional empanadas inspired by Cesar Bordón's native Paraguay. Although more Mexican fare than Paraguayan, Dos Rocas offers street-style tacos. Owners Cesar Bordón and Jack Sundell say it's popular with their customers and tacos pair well with just about any local handcrafted beer. Bartender Katy Tipton serves up margaritas. It's a patron favorite at Dos Rocas on Main Street in Little Rock. Sundell has five years of Arkansas homegrown contacts, but the ingredients Cesar relies on are not always readily available. “It is very different,” Sundell says. They rely on Rabbit Ridge Farms in Bee Branch, the Grass Roots Farmers’ Cooperative in Clinton, and B&C Beef in Sheridan. “We get as much from local sources as possible,” but for staples like yuca, avocados and cactus, Dos Rocas turns to a Dallas distributor, and the maize comes from a non-GMO source in Mexico, Sundell says. The local craft scene in Arkansas is ever-expanding, so Sundell says narrowing their craft beer choices wasn’t easy. They settled on a few favorites from breweries including Lost Forty Brewing in Little Rock and Prestonrose Farm and Brewing Co. in Paris — Arkansas, that is. 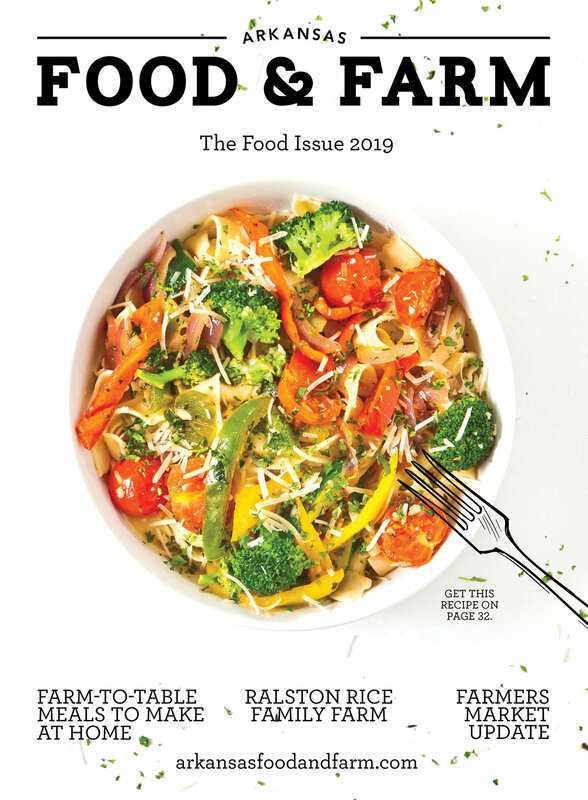 Sylvia Blain of Little Rock, who happens to be executive director of the Arkansas Brewers Guild and was instrumental in starting Central Arkansas’ local food movement, also recommends Prestonrose. Their street-type tacos are familiar to new customers, and Bordón says these pair well with a craft beer. “The better the beer, the better the pairing,” Sundell adds. Blain, a friend of Sundell and Corri, says the first time she went to Dos Rocas was simply out of support, but she goes back because of the beer offerings and tasty dishes. “They were entirely different than pupusas I have had previously. They were smaller and packed full of flavor. I really loved the fluffy corn tortilla,” she says. For mixed drinks, Dos Rocas relies on Little Rock production whenever possible. For instance, Sundell says they serve Rock Town Distillery’s vodka, basil vodka and barrel-aged rum.